Crudités are the perfect way to ensure your body gets a variety of different phytonutrients (natural compounds in plants) essential for promoting and maintaining a healthy body and brain. Here are some ideas on which vegetables to use and a home-made dip to accompany them. Serve as an appetiser or a healthy lunch. 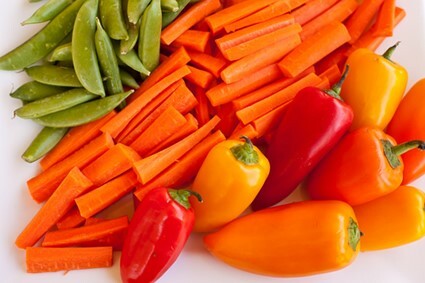 Kids are more likely to eat vegetables if they are presented in an array of colourful, bite-size pieces that they can have fun dunking into a dip. Stir the seasoning into your cottage or cream cheese for a yummy garlic and herb dip.